Facebook comment box is one of the useful tool for bloggers to increase conversations. 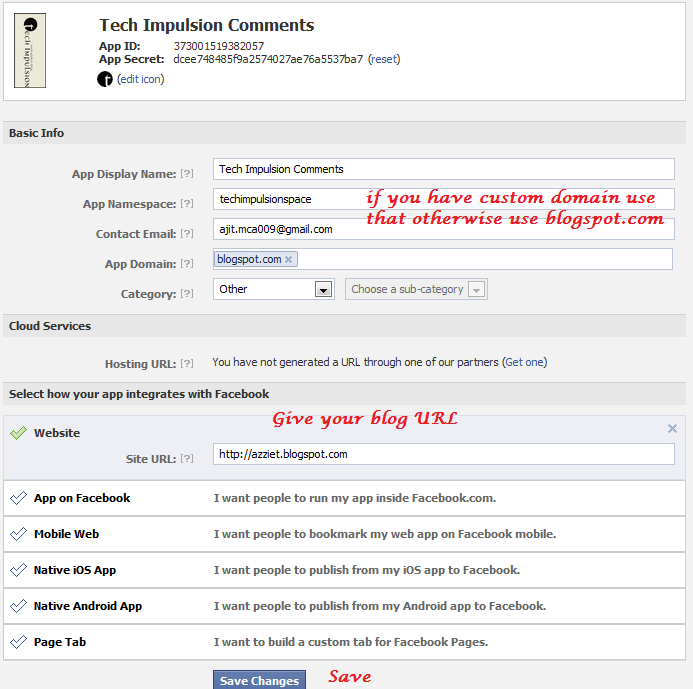 So here in this post I will teach you how to add/integrate Facebook comment box to blogger in simple steps. 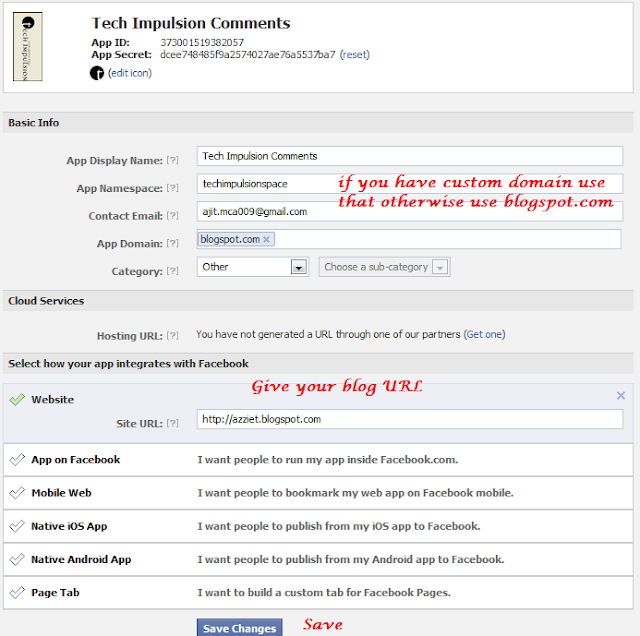 Before getting into the process I recommend you to back up your template and previous comments in blogger wont be visible if you use Facebook commenting system. 2. You will then be provided with an “App ID/API key” and an “App secret key.” Copy the App ID. 4. Add FB Comments - Now you have to add the Facebook Comment Form to your Blog Template. To do that Go to Template/Design > Edit HTML and click on the “Expand Widget Templates” check-box. When you are logged in to your Facebook account, the Facebook comment plugin will detect that you are the admin(it will detect you if you have added the fb:app_id or fb:admins meta tags). You will be able to manage the Settings and moderate the comments from there.